Nowadays, in the age of hackers and cyber-crime safeguarding one’s computer has become a major concern for many all over the globe. One of the best ways to ensure security is through anti-virus software. 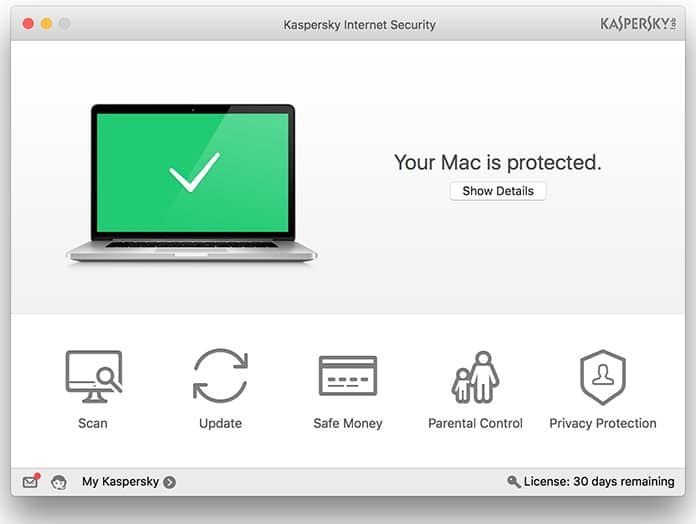 In this article, we will be looking at the best antivirus for Mac OS users. 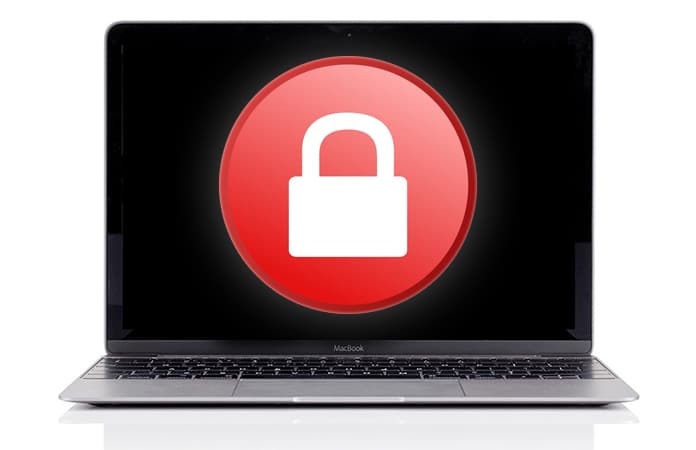 Below is our list of the top 5 antivirus apps for your Mac. 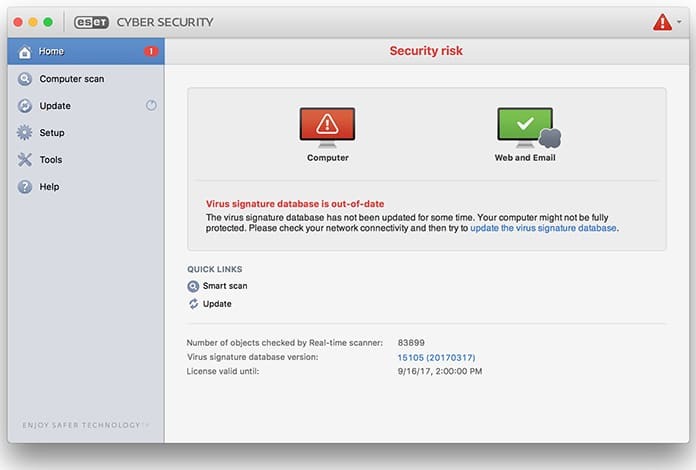 You can easily choose the best antivirus for Mac to get maximum protection online or offline. This is currently the most top of the line antivirus money can buy. In an AV-Test’s lab, it was shown to block a perfect 100% of all malware and other threats. That, in case you didn’t notice, amounts to pretty much air tight security. 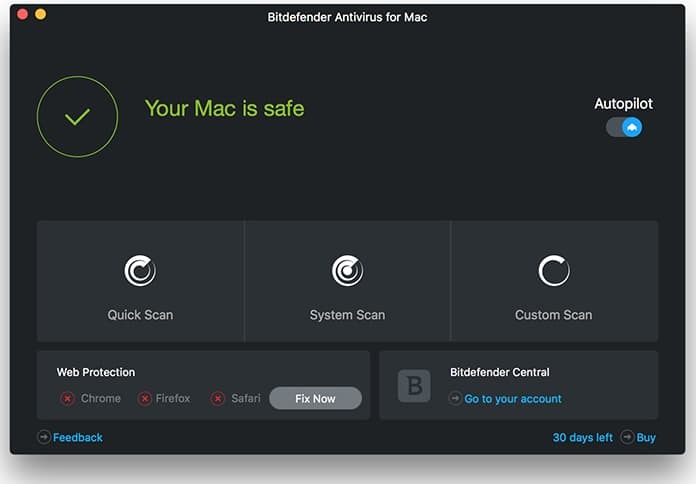 You can go to this link to download Bitdefender for Mac OS. This is another antivirus software that suffers from just falling short of the 100% mark, again at 99.17%. However, the package includes anti-spyware, safer and easier banking software as well as other features. The one issue is that it has a significant impact on system performance, which is why some people would want to go with faster alternatives. There is a 30-day free trial available after which you will need to pay $59.99 for the complete package. Visit their website for more details. Similar to the competitors placed at the first and second positions, AVG also happens to have a 100% detection rate. However, the reason why it ranks below those two is that it has a more noticeable impact on performance and the effect is kind of noticeable. The great thing about it, though, is that it is available free albeit with limited features. To unlock the Unlimited version you will need to pay $69.99. More details can be found on their website here. Next up we have the ESET Antivirus. It boasts a 100% threat detection rate while at the same time clocking quite high on the speed charts. This makes it a must buy for someone looking for something more economical while at the same time not compromising on safety. It is available for $39.99 but before that, there is a 30-day free trial available so you can give it a test run. You can download it today from this page here. This particular antivirus falls behind since it scored lower than the top three in AV Test’s lab when it came to threat detection. It’s a measure of how competitive the market is that it falls behind even though that detection rate was 99.17%. This compounded with the fact that it isn’t exactly the fastest software out there. 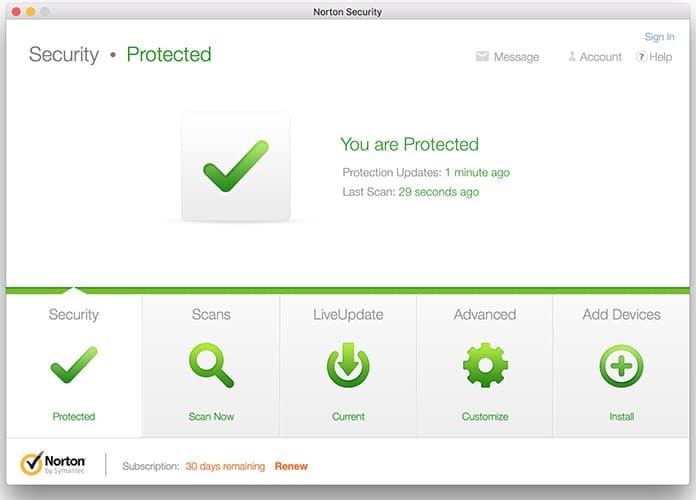 Norton Security pricing starts at $69.99 and can go up to five devices if you upgrade by paying a total of $89.99 instead. Devices it can protect include Windows PCs and smart phones as well which could be an attraction for those users looking for flexibility. 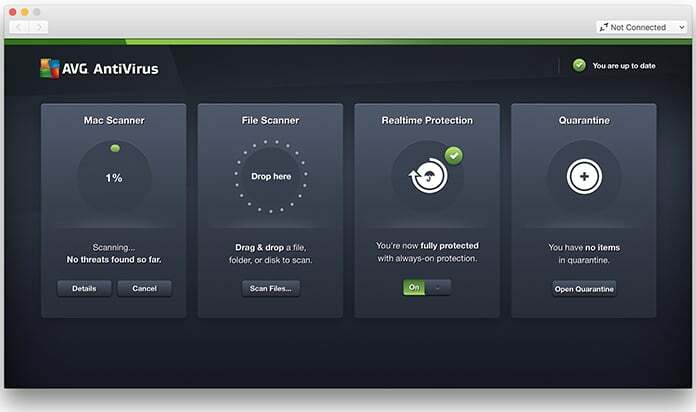 These are our top 5 picks for best antivirus for Mac. Which one is your favorite? Which one do you currently use? Share with us in comments below.